Thanks to the beginning of Lent and the start of St. Patrick’s Day celebrations, we have a buffet of activities to keep you from sitting at home staring at Netflix for hours upon hours this weekend. Not that there’s anything wrong with that, but take the next few days as an incentive to “mix it up” a bit, as the kids say. Any one of the local fish fries is sure to hit the spot if you’re stomach is growling by the time you leave work today. 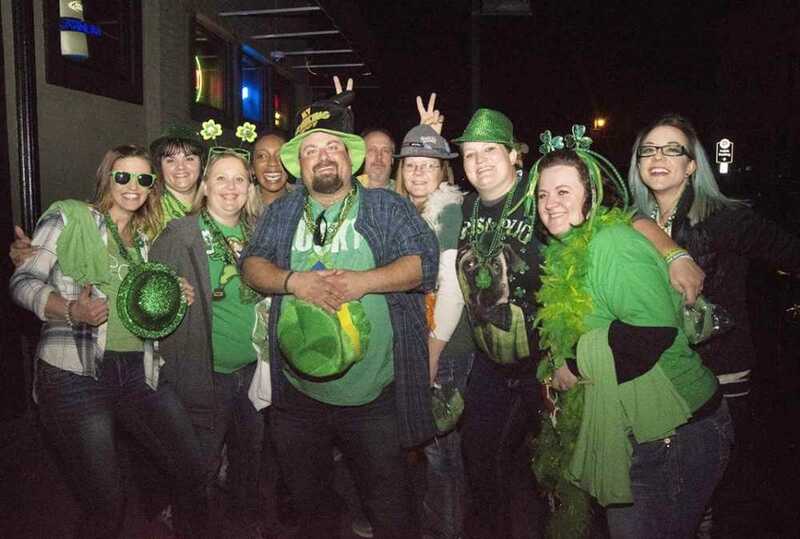 Saturday, celebrate the ending of another workweek by grabbing your friends and checking out downtown Cape Girardeau’s 31st Annual St. Patrick’s Day Pub Crawl, with more than 10 businesses participating. While you’re downtown Saturday, stop by Port Cape Girardeau for the eighth annual Cross Rivers Roots and Blues Festival, featuring several bands including Jimmy Burns from Chicago. And top off your weekend Sunday with yet another St. Patrick’s Day party hosted by Cape Eagles Club, or attend the free Gospel music concert with Danny Norman at Trinity Assembly of God in Illinois. Menu: Fried catfish, hushpuppies, fries, slaw, baked beans, bread and onions, dessert. Menu: All-you-can-eat fried chicken, fish, macaroni and cheese, fries, hushpuppies, slaw, baked beans, beverages. Menu: Pond-raised catfish, fried chicken, hushpuppies, slaw, homemade onion rings, fries, fried biscuits, potato salad, baked beans and homemade macaroni and cheese. Participants may pick up punch cards at any of the listed locations. Prizes will be awarded at all locations to those who complete the entire circuit. “My idea with starting this mini-festival was to bring together musicians I’ve met in different places in Chicago, Missouri and in Kentucky,” John said Wednesday. * Doors open at 6 p.m.; music starts at 7 p.m. This weekend is your chance to attend a free gospel concert with artist and songwriter Danny Norman. Norman was awarded Artists Music Guild North Carolina’s 2018 Songwriter Of The Year and also 2016 Country Video Of The Year Award for “I’m An American” by The Indie Music Channel Awards. Get ready for a St. Patrick’s Day party with the Cape Eagles. You’re in on the debut of Sugar Daddy Band, featuring Holly Benton, Kevin Engert and Sissy Donahue.